Women's Pack - The ladies elite open division pack heads out on the road to Duluth. 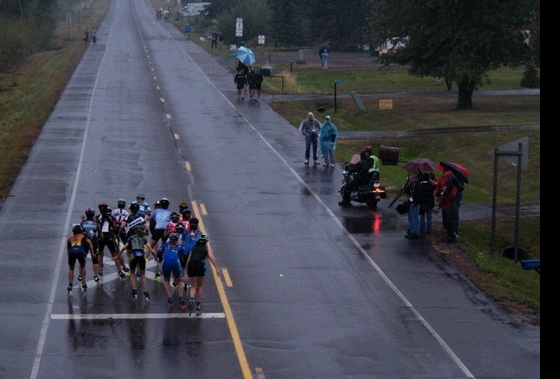 Darlene Prois took the photo from her perch in a cherry picker above the starting line. Rain short-circuited the cherry picker, stranding Prois in the air for half an hour and delaying her arrival at the finish line.